VANCOUVER – The Canadian Sport Institute Pacific’s Athlete Advance returns in 2017 with double the excitement of previous years. For the first time, there will be two events: one each in Vancouver and Victoria. The Canadian Sport Institute Pacific (CSI Pacific) Athlete Advance is designed to help educate and inspire British Columbia’s future and current Olympic, Paralympic, and World Championship athletes in their quest for podium performances. Athletes will have the chance to attend a full day of interactive workshops and seminars presented by leading experts in their respective fields. The first Athlete Advance will take place at CSI Pacific’s Victoria campus at Pacific Institute for Sport Excellence (PISE) on Saturday, February 11. Sessions include topics such as Strength and Conditioning; Mental Performance; and Sponsorship. On March 18, the Robert H. Lee Alumni Centre at the University of British Columbia’s Point Grey campus will host CSI Pacific’s Vancouver edition of the Athlete Advance. Athletes will have the opportunity to learn about Scholarship and University Commitment Navigation; Mental Performance; Transferable Skills; and Recovery. 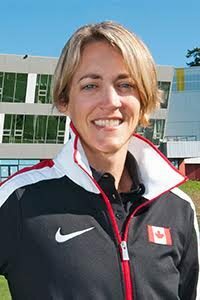 The events will be keynoted by two high profile athletes in British Columbia: swimmer and multiple Olympic medallist Ryan Cochrane in Victoria and former Vancouver Whitecaps FC team captain Jay DeMerit in Vancouver. A Victoria native, Cochrane won silver and bronze medals while competing in the Men’s Freestyle 1,500-metre race at the 2008 and 2012 Olympics. He is also the two-time defending Commonwealth Games champion in the 400-metre and 1,500-metre, having won both medals in 2010 and 2014. Cochrane holds six world championship medals. A United States international that represented his country at the 2010 FIFA World Cup in South Africa, Jay DeMerit was Whitecaps FC’s first signing after joining Major League Soccer in 2010. The native of Green Bay, Wisconsin became Whitecaps FC’s inaugural MLS captain, leading the club for four seasons before retiring in 2014. This will be the eighth year of Athlete Advances held by CSI Pacific. The last event was held in November 2015, with over 200 high performance athletes coming together at the Richmond Olympic Oval. In an anonymous survey, every single athlete that attended the 2015 Athlete Advance said that they would recommend the event to their peers. Registration is now open for the 2017 Athlete Advances and is limited to Canadian Sport Institute Pacific or PacificSport registered athletes.